The new Scans page on codeREADr.com simplifies our powerful scan filtering tools without making them any less powerful. Whether you’re a venue manager tracking your employee activity, a wholesaler reviewing the past week’s orders or an event coordinator sending an exhibitor his leads, you can also export them to CSV format for reintegration into your existing back-end software. After the jump, we’ll show you how to make the most of the scan filtering tools for your barcode scanner app. First, let’s take a look at the different components of the tool and how they can help you with your search. The full text of every barcode value and response you’ve scanned is searchable – just type in a query in the search bar. You can specify a start date for your list of scans, an end date, or both. That means you can choose to view all scans before or after a certain date, or specify a date range. If you’ve used our barcode scanner app to validate scans against a database, you can filter by whether the scan was valid, invalid or saved to the device without validation. If you’re just recording scans without validation, they will all appear as valid. Choose the specific users, devices and services whose scans you’d like to view. You can also use this section to view scans made by users and services you’ve deleted – just click “All Deleted Services” or “All Deleted Users” under the appropriate section. Taken separately, these tools are merely useful, but when used together they can greatly improve your efficiency. For example, let’s say you’re a wholesaler who uses codeREADr’s conditional questions to let your stores order by scanning products. If the product they’ve scanned isn’t in your inventory, you automatically ask them to describe the product so that they can order it for you. At the end of each week, you have to determine every product that an individual store has requested be added to your inventory in the past seven days. Scan filtering enables access to this data in just a few clicks. Use the Date Picker to restrict your view to only scans made in the past week. 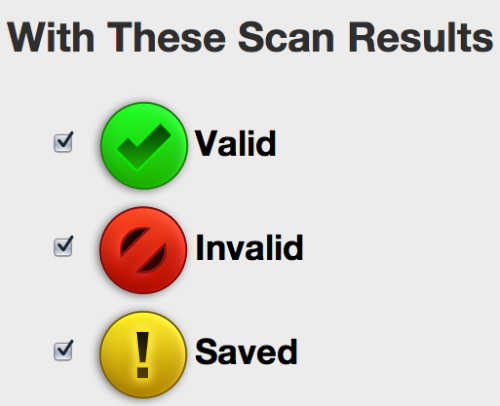 Uncheck “Valid” and “Saved” in the Scan Result section so that you’re searching for only invalid scans. 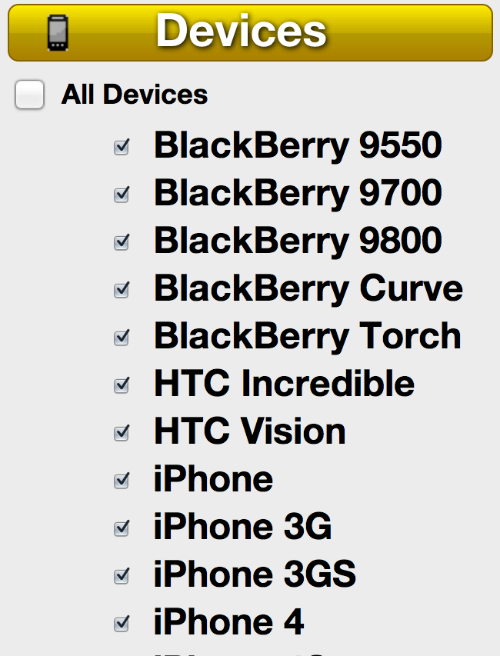 If you’ve assigned a single username for each store, uncheck “All Active Users”. Also, check off the username of the store with the orders you’d like to view. All that’s left is to press the “Filter” button, and you’re done. 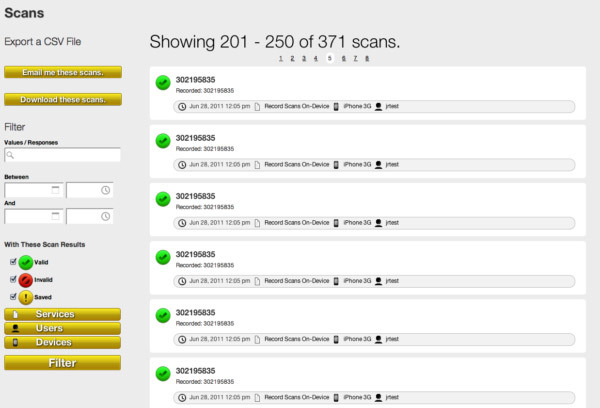 In just a couple of clicks, you’re able to view exactly the scans you need to do your job faster. Our barcode scanner app is constantly improving, and we are excited about this latest news.